While wandering the interhole last night and this morning I came across many items of interest — too many to pack into a single round-up post. So I’ll subdivide my findings and start here, with two discoveries that should interest thrash heads far and wide. You’re looking at the first item above. 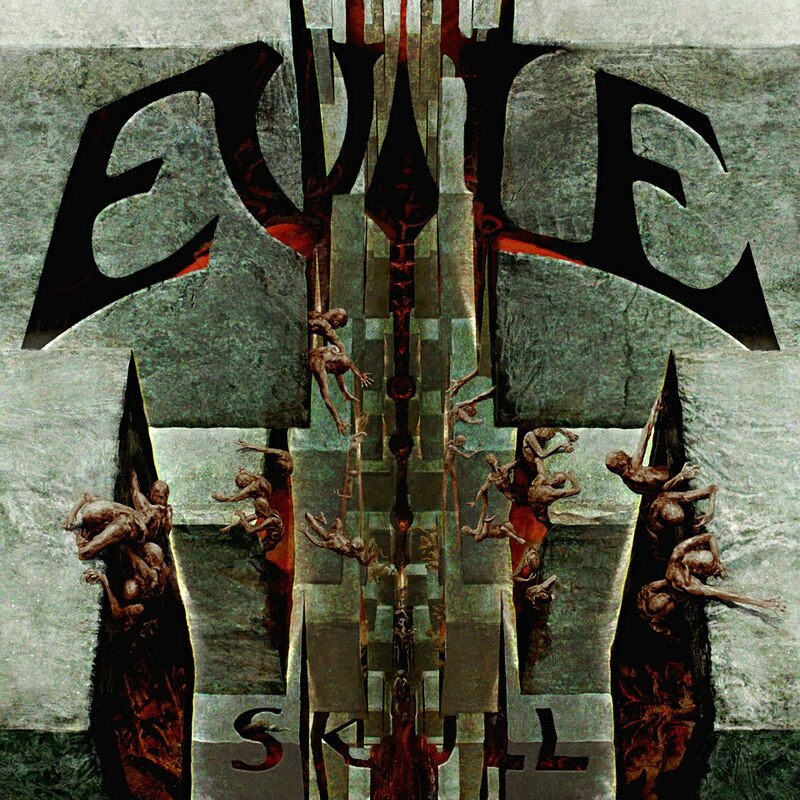 It’s the recently revealed cover art for Skull, the forthcoming fourth album by the UK’s Evile, which is due for release on May 27 by Earache Records and Century Media. The artist is none other than NCS favorite Eliran Kantor. Like all of his art, this piece snags the attention and pulls it into the details of the work — which are mysterious. 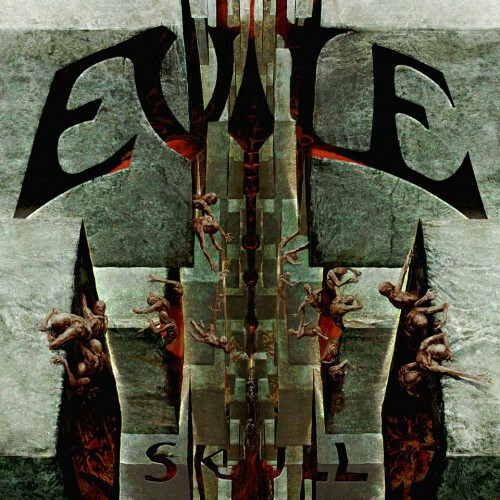 Evile explain that the artwork embodies a concept that’s connected to the music . . . but what that is we’ll have to learn later as more details trickle out. The three of us who started this site are not big on thrash, which is probably obvious since we write infrequently about straight thrash-metal bands. It’s not that we judge it to be a lesser form of metal. It’s just a matter of taste. Speaking for myself, I like the energy, the speed, and the riffing style, but I’m not crazy about traditional thrash vocals and I tend to get bored with the sameness of the songs on many thrash albums. I’ve found that I like thrash a lot more live than I do on recordings (for example, I thought Exodus and Death Angel put on two hellaciously good performances in Seattle last year). Needless to say, the re-thrash movement has held little interest for us. There’s nothing wrong with a band immersing itself in its influences, but when you tend to get bored even with the old masters, you tend to get really bored with rank imitators, even talented ones. I still try to sample new thrash releases every now and then, hoping for a pleasant surprise. For example, I’ve been listening to the new album by Lazarus A.D. (Black Rivers Flow). 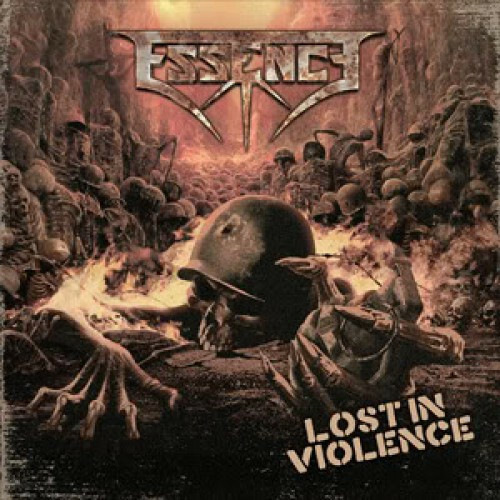 I’m not sure I like it as much as the band’s debut (The Onslaught), but a couple of the songs are sticking with me (the title track and “The Strong Prevail”). 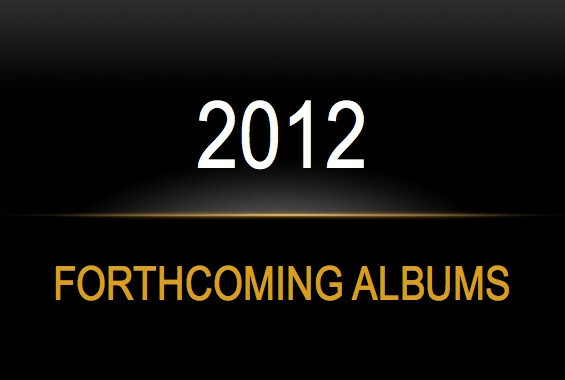 Still, although I think devotees of thrash will probably enjoy this, on the whole this album isn’t ringing my chimes.